Awesome game. I can't wait to see how it continues to evolve and grow in the years to come! I bought Space Engineers as soon as it was released on steam, and I've loved every moment so far. the regular updates are always great, and me and the rest of the Jupiter Mining Company (JMC) eagerly await each one, so please keep up the good work, and thanks for an awesome game! some suggestions : It would be very useful to have a "deck plate" block, similar to the steel catwalk but without the vertical section. Love this game! Very addictive and satisfying! It's a very nice game! I love it! Could there be a game option that limits the view distance of beacons? I have noticed that ever since the "cargo ships" update that some servers can get cluttered with beacons. It seems that if someone interacts with a ship but does not turn off the beacon or capture it, the cargo ship continues on its course and the beacon stays in the map. I have seen beacons that were over 1 million km away so there is no way to get to the ships. Also, sometimes people will troll by changing cargo ship beacons to profane phrases, set the ship to max speed and send it on its way. Again, this prevents server admins from fixing the problem by making it impossible to reach the ships. I think a distance of 20 km would be plenty. Beacon distance bar had been great! I'm really amazed with how fast and effectively this game is being developed. I've spent over 100 hours in the game already, even before survival came out. Are you going to make it so that the automatic large ship/station turrets can shoot the meteors so that stations don't get damaged? A kind of defense system? That way the addition of weapons is not only for military use. Aaand, is there ever going to be a more efficient way to weld ship parts together? On realistic x1 it takes about 40 runs from cargo to assembly for a large reactor or a refinery and you can only carry enough steel plate to build about 5 light armor blocks or a single heavy armor block. It gets tedious quick. Maybe a welding and assembly attachment on a small ship equipped with a large cargo hold would solve this problem. Or maybe it wouldn't even weld the assembly together but instead bring all the resources to it ready to weld. Stop telling what you are great, and so we know it :) do better possibility to fix a few items on the hot button and turn the already conveyor. And it is very possible peredvat lacking energy to control the structure through the engine. congrats ! i love this game ! Love that this game isn't just mindless entertainment, it actually promotes critical thinking. Everything I do is a bit of a science experiment. Excited to see where this game goes. Tons of potential to grow on this great foundation. Would like to see expanded multiplayer capability with larger "worlds" where distances between colonies are more substantial. Even though there seems to be some intent of divergence from militaristic themes in the game, I'd like to see some more weapons (space-type weapons even) and human conflict type components. This will echo reality when interaction between people may be hostile or friendly. The priority system of thought if invaluable. It supports the theory that with every update that is not the most needed/desired feature that week opinion goes down, while desired features keep opinion afloat or raise it. Your practically swimming upstream continually against community opinion. You can have a minor update and take a slight hit to the growing excitement of the game but have to make it up twice over with the next one. Two-three low priority updates in a row creates a death spiral that takes real community loyalty to stick with the game. Just have to say, love this game. There are few things I love more than an open experience where I decide what I'm doing, and the challenge comes from where I am to getting where I want to be. There are still many things I hope for, like better rotors and more parts to work with, but, all in due time. Things are great so far. Thank you. One of the very first games I ever played was the first Civilization game (I still have original box and diskette). And a moon colonizing game that I can't remember the name of. Anyway, point is that I've been playing games for a long time. This game is the first in a long while that has got me really, really excited. I built my first big ship and loved it. Keep up the great work! I discovered the game in Jan, and I'm still hypnotized by it, hungering everyday for new features and enjoying more and more the existing ones. BTW, the first futuristic and militaristic look of the engineer is not a problem. I think most people love the game because it's about Sci-Fi and battleship combats. Hi, the best would be to write your notes and illustrations to http://forums.keenswh.com so everyone can see it and discuss it. Thanks! Great work from all the team, it just keeps getting better and better. Been playing for awhile, I really like the direction your taking; focus on dedicated servers and some way to secure builds and have faction wars -- this game will blow up. The multiplayer experience is amazing. Marek Rosa, I still think that for a survival mode to do story. I mean the opening theme - why was one cosmonaut in space. For example - the video clip of the accident merchant ships. The death of the research station from the asteroid. Those need to explain - why you need to survive and what we should aspire. For example cosmonaut knows that the ship from Earth arrives in 2 weeks. I love the game. It keeps your mind working. I would really like to see multiplayer control of large ships. Take a look at the game artemis its a bridge command style game where several people help the ship function. Engineer, weapons,Pilot. ect. Would be pretty great to have more dedicated terminals in the game, sure sometimes it can be useful to access every single rotor, door, engine and whatever from a single place. But when all you need to do is open the garage door... That is some mayor information overload and inconvenient UI for the task. It's been said before, but I want to add my own: I love this game. Love the concept, I want more features. I'm sure it's all been said before but I had to give my two cents. Love this game's concept and want MORE! Some good wish lists here. Remote control for warheads would be good. Radar, functional weapons on the large ships. Personally I would like some furniture and breathable atmosphere for the buildings I make on the various stations. Also some handrails for the stairs because otherwise you have to find other ways to block them off which uses a lot of space. Some AI companions would be good even if they just stand around and don't move much, but movement code for NPCs is not mysterious and can be made to make them have daily routines without too much bother... that would be good! I have myself added some NPCs to a couple of games including Skyrim which had the basic movement code in them and allowed me to give them routines. A bit of automation would be nice ie. Device grouping and key binding so I can turn groups of lights or drills on and off at a key stroke instead of opening a control panel and clicking 20 different things. - Get the Conveyors working please. - Ship parts need to be affected by gravity. - Force Fields or deflector fields would be nice but should be expensive to run, power hungry. I have a " small " isue in game : when many Interior lights are placed, the first of them continue to illuminate but no longer has the "luminous halo" effect. BUT, when reloading the game, all become again normal for a few minutes. 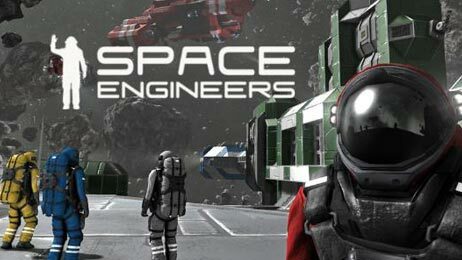 Marek: You and the entire Keen development crew have done an outstanding job on Space Engineers, and even though it's in early alpha, it's a quality game that plenty of people play and enjoy. I can't wait to see what will be put into the game next. Keep up the great work! You guys have done an amazing job with this game in a short period of time. I'm going to loose a lot of sleep playing it. Pressurized environment where the astronaut could take his suite off with character customization. Procedural generated maps with more randomly generated resources to go looking for. 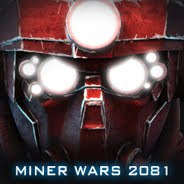 Awesome job keep up the good work and please, whatever you do don't let development fade into nothing like it did with miner wars 2081. I look forward to what the future holds for this title as its potential is great. Use Lua for the programming language, it's ment for things like this.